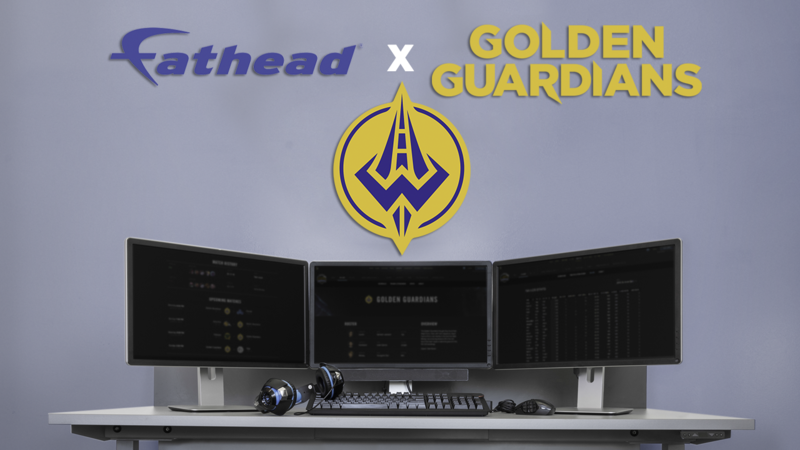 Detroit, MI – Fathead LLC, the leading sports and entertainment brand best-known for its officially licensed, life-size wall graphics of professional athletes and team logos, is pleased to announce the addition of the Golden Guardians, the North American League of Legends Championship Series (NA LCS) affiliate team of the Golden State Warriors, to its inaugural line of esports team merchandise. Fathead is committed to leading the industry with innovative relationships to include top esports brands. The Golden Guardians are the ideal addition to this line as they are competing in the most elite esports league. About Golden Guardians Established in 2018, the Golden Guardians are the NA LCS affiliate team of the Golden State Warriors. League of Legends is a multiplayer online battle arena game where two teams of five players battle on Summoner’s Rift with the goal of destroying the heart of the opposing team’s base, known as the nexus, to achieve victory. For more information on the Golden Guardians, visit goldenguardians.com. About Fathead LLC Fathead LLC is the industry leader for authentic, officially licensed sports and entertainment graphics. Fathead gives fans the opportunity to express their passion by bringing their favorite inspiration to life. Fathead carries thousands of images and maintains over 150 license agreements with leading consumer brands across many industries and professional sports leagues. Fathead wall graphics include the signature REAL.BIG. - life-size, high definition wall decals of athletes, stadiums, logos, fan favorite entertainment characters, and more. Fathead Custom Creations including die cut vinyl decals, Big Heads cut outs, vinyl mural graphics, and wrapped canvas put the customer in charge. For more information, visit fathead.com. Connect with us on Facebook, Twitter and Instagram. For media inquiries, reach out to media@fathead.com.